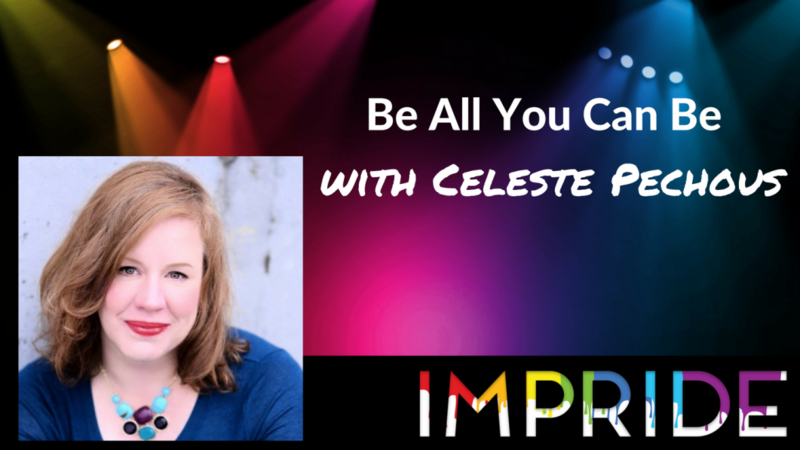 Inspired: An Improv Blog Impride Workshop! Be All You Can Be with Celeste Pechous! Impride Workshop! Be All You Can Be with Celeste Pechous! As improvisors, our greatest asset is our own unique voice. That voice is what contributes to the team. But how do you work on that? Don’t worry! Celeste Pechous has you covered. In this workshop, we will focus on each player’s idiosyncrasies and what “tone and uniqueness” they bring to the ensemble. There is individualized detail and attention to each person’s style of play voice and how one brings so much color to the ensemble by being all encompassing in our own skin and owning all of themselves. From solitary to solidarity, this workshop examines the parts that make the whole: You. Ready to work on your own voice? Register now for Celeste’s workshop – it takes place on Saturday, July 7th at 1:30!